Accredited Roofing presents Kangaroof has been dedicated to providing homeowners with the finest products and services when it comes to roofing, guttering, and siding. Accredited Roofing presents Kangaroof always uses the highest quality building materials and expert craftsmanship for the best roof repair and installation services available. We will consult with you in order to make sure that the style, color and pattern for your roofing system is appropriate for your project specifications. Our mission is to provide you with an effective and comprehensive roofing system that will deliver satisfaction for years to come! At Accredited Roofing presents Kangaroof we are committed to being a leader in the roofing industry by setting the standards of a knowledgeable, professional, dependable roofing company. We will provide superior service and be true to our word. We are committed to provide for the families that work with us and the communities that we live in. Let us WOW you too!!! Working in the St. Louis area since 2005 has taught us a few important things. NEVER underestimate Missouri weather, it can do almost anything, no matter what the season. St. Louis homeowners are savvy customers who know what they want. The best customer is a satisfied customer, no matter how detail oriented they might be. From this knowledge has come a mindset of quality, timeliness and customer satisfaction second to none in the St. Louis area. The Gutter Cover Company is a family owned and operated business serving residential and commercial clients in St. Charles, St. Louis, and the surrounding metro since March 2000. To this day, the combination of quality materials, expert installation, and 100% customer satisfaction remains the hallmark of The Gutter Cover Company. Our quality product and service have earned us a variety of accolades including the BBB 2009 and 2015 Torch Awards and our A+ rating from the BBB. In addition to providing a superior product and service, owners Jim and Staci Maneage are committed to supporting communities locally and abroad. For the best in St Louis gutter protection, the choice is clear-- The Gutter Cover Company. The Gutter Cover eliminates the need to clean your gutters and prevents clogging. Our patented design keeps rain water flowing into your gutters and out your spouts away from your foundation keeping your largest investment protected. Spend your time enjoying your weekends, not on top of some dangerous ladder. "R&R built to last a Lifetime" With over 35 years of experience, Lifetime Roofing & Renovation gives you options to fit any project design, purpose or budget. We rise above an industry filled with unethical and lackluster performers and let our work speak for itself. Roofing: $200 - $155,000, Siding/Soffit & Facia: $200 - $80,000, Gutters: $300 - $75,000. Windows: $400 - $90,000, Decks: $500 - $80,000, Insulation: $750 - $200,000. These are estimates based on experience and your actual costs may vary depending on the scope of your project. Contact us for a FREE consultation about your project. 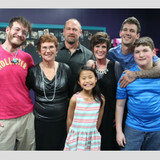 Our mission of building customer relationships for a Lifetime allows us to do whats right from the moment we meet you. Lifetime works throughout the St. Louis metro area, offering residential, multi-family and commercial service. Recommended directly by the nations best insurers, we offer top-notch service and guidance for your claim and restoration processes. Let us show you precision and care built to last a Lifetime. We are a family owned and operated full service licensed roofing and construction company. We offer professional repair and replacement options for most roof systems, including shingle, EPDM, TPO, elastomeric coatings, modified bitumen (commonly called rubber roofs) flat roof applications (torch applied), cold process (mop applied), etc. We also offer a variety of additional residential and commercial repair services such as gutter and downspout, privacy fence installations, porches, decks, gazebos, room additions, and rough carpentry to name a few as well as general contracting services for complete renovations or new builds. We are extremely competitive in our pricing, offer longer guarantees, and the best material warranties available! Our low-slope roof systems, on average, will save you 25%-50%, and we only use the best materials installed by our company (no subcontractors). If you are in need of emergency or non-emergency repairs we offer 24 hour professional service and quality at prices well-below others. If you are buying or selling a home and required to obtain an FHA roof certification, we offer residential inspection services starting at $150.00 (shingle or flat roof) and will offer repairs at discounted prices if repairs are necessary. Give us a call for your next project. You won't be disappointed. Estimates are always free. WCC Roofing Co. services homes and businesses in all Metro St. Louis communities with quality roofing, siding and gutter installation, as well as repairs and maintenance services. Our company is rooted in St. Louis, with a local office and local employees. We know that each roof we repair or replace protects the homes and businesses of our neighbors, family, and friends. The satisfaction of every customer is of paramount importance, and we take care to make sure what you need looks and works as best as it can for as long as possible. From repairing leaks and cracks to replacing a few shingles or a full roof, WCC works efficiently and professionally to fix or install your roof with as little disruption as possible. We are roofing specialists; design, construction, maintenance, and repair. We are happy to serve the entire St. Louis, St. Charles, Jefferson and Franklin county areas. Let our expert team meet and exceed your roofing and construction expectations for design through construction, maintenance, repair and where necessary demolition. We offer Workmanship and Manufacturer’s Warranty on every job. BOLT Construction & Roofing is fully licensed for All Trades and specializes in Insurance Claim Guidance. The BOLT team consists of experts that are skilled in all areas of construction and have earned several awards and accolades by focusing on individual quality. The company has aligned itself with organizations such as the NRCA, BBB, MRCA, SLAA, and the NAA. BOLT uses only hand-selected, top products which include GAF and Mule-Hide just to name a few. Everyone at BOLT Construction & Roofing is committed to an excellent customer experience and while never sacrificing on quality. Bringing Total Transparency to Storm Restoration When damage to your home needs to be fixed, you want someone that gets the job done and is experienced with what your insurance carrier is going to require. We use automated software developed and integrated with major insurance carriers providing you with accurate estimates in seconds, while building the paperwork needed to get your claim processed fast! You deserve the Delta difference. We can help you with all of your roof replacement project needs. We specialize with roofing repairs and full replacements, replacement of damaged siding & gutters, decking, windows, and more. From our free initial inspection to the completion of your project, let Delta help you with all of your roofing construction and insurance needs. With over 15 years of experience, our entire staff is experiences in both roofing construction and the insurance claim process. We use the same crews on every job. Homeowners know that they will receive the same quality workmanship as all of our previous customers. It is our goal to always deliver the highest quality workmanship and customer service, and to make the insurance claim process stress free for the homeowner. Our entire staff is professionally trained to handle insurance claims. Our expert knowledge enables us to maximize your claim and expedites the entire process. The difference is in the details. We personally manager each job to ensure that each phase of construction exceeds your expectations. We do our best job no every job. It’s about high standards and integrity. Let Delta help you with all of your roofing construction and siding needs! 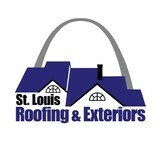 Looking For A Roofing Company in St. Louis, MO? For three generations our family has been in the building and roofing contractor business. My grandfather helped engineer and build portable bridges for the U.S. Army in Europe during World War II. In 1947 he used this incomparable experience to start his own business. My dad followed in his footsteps, and I have been doing it my whole life. When you choose John Beal Roofing Contractor to do your project, you are choosing a company with over 60 years of pride and tradition. You have my personal guarantee that we will treat you fairly and honestly. And, as always, I promise you the very best job for your money. Only roofers bearing the Recommended Roofer symbol have the ability to offer you the Technician Seal of Safety. This assures you that our roofing contractor professionals are background checked and drug tested. That translates into peace of mind for you and your family. A live person answers our phones 24/7. When you call, we will answer. We will respond to any emergency within 24 hours. We will schedule an appointment when we receive your call, we will show up on time, and we will stay until the job is completed. You may have been in your home or business during a hail storm at some point. It sounds like someone is dropping rocks on your roof. Essentially, that is pretty close to what is happening. Some hail can be the size of small boulders (softball sized). Hail can cause shingles to dent or even leave craters in the shingles. Combined with high winds, shingles can be ripped off a home. You may have seen shingles around your property after a heavy hail or wind storm. This type of damage cannot go unchecked. Missing shingles can lead to water seeping into your roof or even your home. Do your property a favor, fix small issues before they become larger issues. Even without these obvious signs, you may have damage and not know it! Ensurance Exteriors LLC is THE premier name in storm-damage restoration and the handling of homeowner's property claims resulting from Hail and Wind damage to roofing, siding, gutters, and any other home exterior needs. Unmatched attention-to-detail and the cutting edge technologies geared to greatly improve the customer experience set Ensurance Exteriors apart from the pack. Homeowners possess the ability to be hands on at every stage of the process of desired, but are encouraged to sit back and leave the hard work and stress to us as we truly fufil our title of a property claims concierge. Next time you need your Insurance, make sure that you get Ensurance first. If you are an insurance agent with clients unhappy with the outcome of their claim, find yourself being told that your roof has no damage or only partial damage while everyone else around you is getting new roofs, let us prove firsthand the expertise that has led us to compile the best storm damage claim approval rate in the industry with a re-inspection! The only finger youequired to lift is the one to call us today! What do roofing companies in Murphy, MO do? Your Murphy, MO roofing contractor can install a new roof or repair an old one, as well as repair and replace gutters. 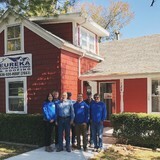 Good roofers in Murphy, MO should be able to promptly inspect roofs and gutters to assess damage after a natural disaster or other event, and give you an estimate for the necessary roof repair immediately. Some Murphy roofing companies specialize in specific types of roofs, such as tile or metal, so make sure the one you are interested in works with the materials you have or desire. Find a Murphy roofer on Houzz. Narrow your search in the Professionals section of the website to roofing companies in Murphy, MO. If you’re planning a large-scale project, find other professionals on Houzz who can help get the job done. Here are some related professionals and vendors to complement the work of roofing & gutters: General Contractors, Specialty Contractors, Siding & Exteriors, Door Sales & Installation, Garage Door Sales & Installation.